Note: This review was created when the Acura Ilx 2019 was new. Thanks to some low-grade cabin materials and lackluster handling compared to the competition, the refreshed Acura Ilx 2019 finishes near the bottom of our luxury small car rankings. Is the Acura ILX a Good Car? The 2019 ILX is a decent luxury small car, but it can’t keep up with the competition. It isn’t very engaging to drive, there’s some road noise at high speeds and over rough pavement, and its interior has some hard plastics. On the plus side, this Acura has a good amount of engine power and a slew of standard safety features. Should I Buy the Acura ILX? The ILX’s below-average base price, lengthy list of standard and optional features, and solid ride make it an appealing vehicle. However, some rivals deliver better all-around performance and are worth consideration. With the Kia Stinger, you can stay at the more affordable end of the spectrum and still get a fantastic car. This sporty sedan has a ride that is a near-perfect balance of sport and comfort. It also comes with ample standard features like leather upholstery, as well as lots of passenger and cargo space. There are also some nonluxury compact cars that compare favorably to the ILX, including the Honda Civic. The affordable Civic has athletic handling, more potent engine options, and a spacious cabin. Should I Buy a New or Used Acura ILX? The 2019 ILX is part of a generation that debuted for the 2013 model year. Acura added leather seats, heated seats, and a rearview parking camera to the base trim of the 2014 ILX. It discontinued the ILX Hybrid for the 2015 model year. The 2016 ILX received a mild refresh with a revised powertrain, updated exterior styling, and additional available safety features. For 2018, Acura added a Special Edition ILX trim. 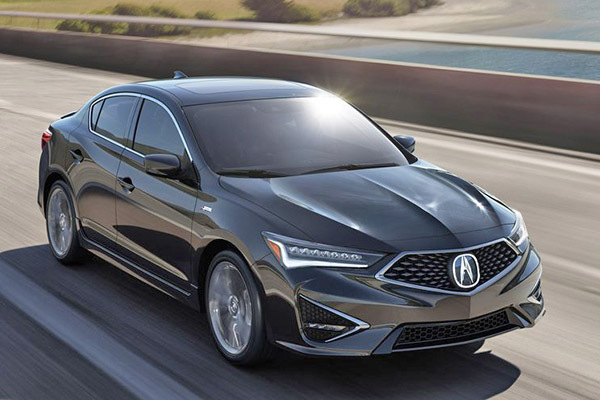 As part of a refresh for 2019, Acura updated the interior and exterior design and added AcuraWatch to the base trim. This system includes forward collision warning, automatic emergency braking, a collision mitigation braking system, lane departure warning, lane keep assist, a road departure mitigation system, adaptive cruise control, and a multi-view rearview parking camera. The infotainment system is also updated, and Android Auto and Apple CarPlay are now available. The mechanics of the ILX are unchanged from previous years. If you’re not interested in the 2019 updates, consider an older model to save some money. If you are considering a used model, the 2016 ILX is a great option because it’s fairly similar to the new ILX, but it will likely cost you thousands less. Read our overviews of the 2017 and 2018 ILX for more information on recent models, and check out our Used Car Deals page to learn about savings and discounts on used vehicles. How Much Does the Acura ILX Cost? 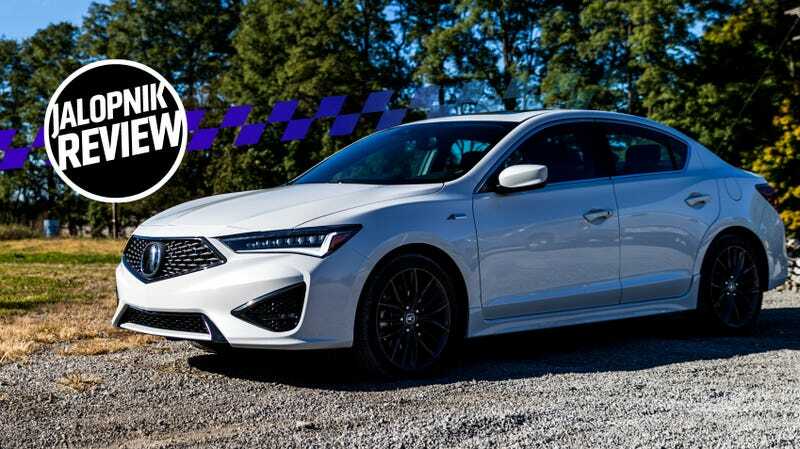 The 2019 Acura ILX starts at $25,900, which is one of the lowest base prices in the class. 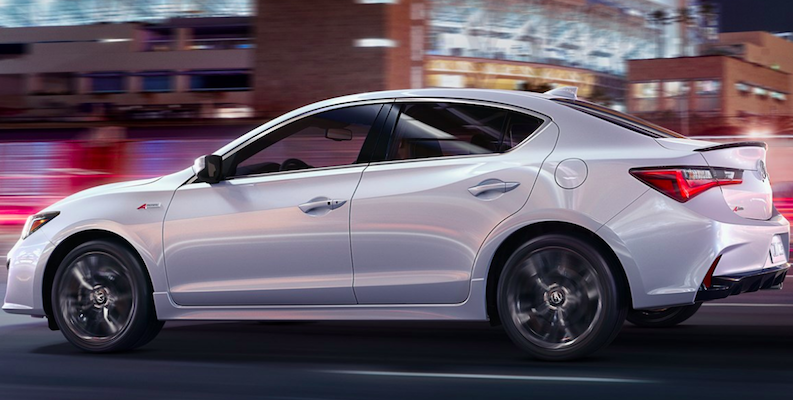 Instead of trim levels, Acura offers the ILX with packages that all cost around $2,000. Fully loading the ILX will cost you about $35,500, which is reasonable considering many competitors start at around that price. How Many People Does the ILX Seat? There’s seating for five people in the ILX. The first row has a good amount of overall space for average-sized occupants, and rear-seat legroom is OK. The standard moonroof compromises headroom in both rows, and the sloped roofline further cuts into rear-seat headroom. A lot of tire and wind noise seeps into the cabin when the car is traveling over rocky surfaces and at high speeds. Leatherette-trimmed sport seats, heated front seats, an eight-way power-adjustable driver’s seat, and a leather-wrapped steering wheel and shift knob are standard. Leather-trimmed seats and a four-way power-adjustable passenger seat are available. There are two sets of LATCH car-seat connectors on the rear outboard seats, and there is an upper tether on the rear middle seat. While it features mostly quality materials, the ILX’s cabin contains some hard plastics that you don’t expect to find in luxury vehicles. It isn’t as refined as most rivals’ cabins. You’ll find 12.4 cubic feet of cargo space in the ILX, which is a respectable amount of room for the class. An infotainment system with a 5-inch display, a six-speaker audio system, a USB port, Bluetooth, and Siri Eyes Free is standard. A 7-inch touch-screen multi-use display, an 8-inch information display, navigation, a seven- or 10-speaker premium audio system, satellite radio, HD Radio, Android Auto, and Apple CarPlay are available. The ILX’s infotainment system is more straightforward to use than most rivals’, and plenty of physical controls complement the touch screen. 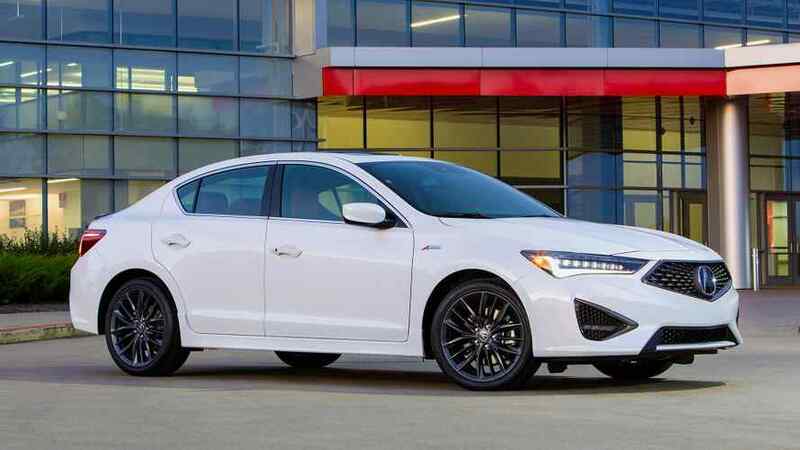 The refreshed 2019 ILX comes with the same 2.4-liter 201-horsepower four-cylinder engine as the previous model year. This engine won’t wow you with brute muscle, but it has plenty of power for moving the ILX along city streets and past cars on the highway. It’s paired with an eight-speed dual-clutch automatic transmission that delivers smooth, quick shifts. The ILX delivers 24 mpg in the city and 34 mpg on the highway, which are good gas mileage estimates for the class. Though it has poised handling and a generally comfortable ride, some reviewers bemoan the ILX’s lack of driving engagement, numb steering, and dated chassis. These downsides may make it feel like you’re driving a larger vehicle. This Acura also makes quite a bit of noise when it is pushed to go fast or travels over bumps. Is the Acura ILX Reliable? As of this writing, J.D. Power has not assigned a predicted reliability rating to the 2019 ILX. The ILX has a four-year/50,000-mile basic warranty and a six-year/70,000-mile powertrain warranty. The National Highway Traffic Safety Administration gave the 2019 ILX a five-out-of-five-star overall rating, with four stars in frontal and rollover crash tests and five stars in side crash tests. It has not yet been crash tested by the Insurance Institute for Highway Safety. 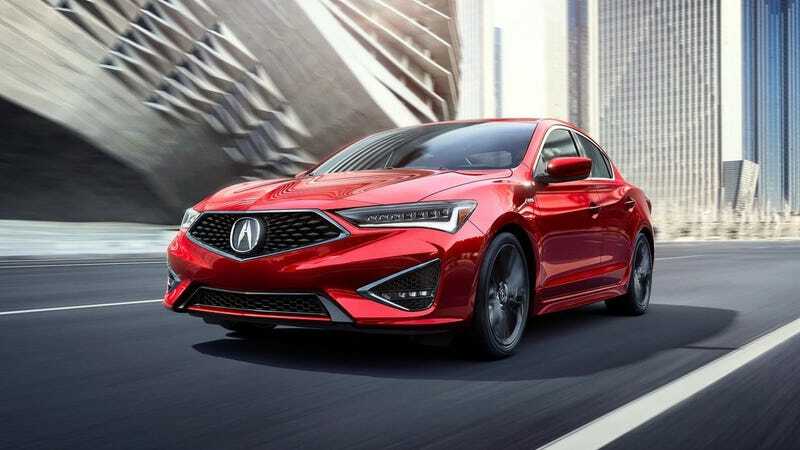 Acura added more standard active safety equipment to the ILX as part of the 2019 refresh. It now comes with AcuraWatch, which features lane departure warning, lane keep assist, forward collision warning, automatic emergency braking, a collision mitigation braking system, a road departure mitigation system, adaptive cruise control, and a multi-view rearview parking camera. Available features include blind spot monitoring and rear cross traffic alert. Which Acura ILX Model Is Right for Me? The 2019 Acura ILX comes in only one trim and includes a decent number of features. There’s plenty of safety features, including forward collision warning and a multi-view rearview parking camera, and a decent amount of technology and comfort features, such as a 5-inch display and heated front seats. There are three optional packages worth considering: Premium, Technology, and A-Spec. We recommend the Premium package, which adds a nice mix of comfort, safety, and technology features. The Premium package starts at $1,750, and its amenities include leather-trimmed seats, a four-way power-adjustable passenger seat, blind spot monitoring, rear cross traffic alert, a seven-speaker audio system, Apple CarPlay, Android Auto, satellite radio, HD Radio, a 7-inch touch-screen, and an 8-inch information display. Priced at $1,900, the Technology package requires the Premium package and adds a 10-speaker premium audio system, navigation, and the AcuraLink telematics system. The A-Spec package runs for $2,000 and also requires the Premium package. It adds sporty enhancements like a rear spoiler, larger wheels, and suede car seat inserts.